Badri Raina’s poem on Sanjiv Bhatt posted to my yahoogroup and to this blog on Sept 27 led to an inspiring and informative email exchange, on which I am privileged to have been copied. While compiling extracts for this post (with permission), I heard that Sanjiv Bhatt had been arrested (update: A court in Ahmedabad sent him to judicial remand on Saturday, to be be lodged in Sabarmati jail till his bail hearing comes up on Monday). “Sanjeev Bhatt’s arrest proves how frightened his detractors are,” tweeted @reenasatin. Film producter Mahesh Bhatt (@MaheshNBhatt): “If there is one man who is fearlessly living the Gandhian creed in Gujarat it is Sanjeev Bhatt. Will our courts protect this Whistleblower?” That, time will tell. Meanwhile, below please see the correspondence, which began with Siraj Khan’s prescient email to me on Sept 27th: “Badri Raina’s poem is awesome. Sanjiv Bhatt needs to be protected. Unfortunately, he will not be allowed to walk away to get a hero’s status and have a fan club.” My reply: “Thanks and I hope you are wrong about Sanjiv’s fate. Cc’ing to Prof Badri Raina, the poet, because I think you guys should know each other.” (See Bhatt’s last email of the series, just posted at the end). Greetings from Boston. I remain grateful to my friend for connecting us. The fall season has started here and the leaves have just started to change color and the crisp autumn air is getting more noticeable. It is in such times of change that I read your poem. I look at it perhaps with a wider spectrum than most. It is more than a poem dedicated to the daring whistle-blowing of a senior law enforcement officer that Sanjeev Bhatt is. Setting a trend may be too strong a phrase, but I hope that his bold step will inspire others to change their thinking and rather than always flow with the tide, they think of swimming against the current when required. Even if 2% of people with authority can say what they mean and mean what they say, we would already be looking at the light at the end of that long dark proverbial tunnel. I do pray for Sanjeev Bhatt. One can imagine, what he has to go through after opening Pandora’s Box. However, even Pandora had kept something behind in the box, after opening – hope. HOPE, they say is the strongest word in English, stronger than fear, hate, army and even love. Many years ago I taught myself to accept the view that all the good things I wish to happen in the world need not happen in my lifetime; but they have smaller chance of happening if I do nothing in my lifetime. There were billions before us and there will hopefully be billions after; the man who told us why the apple falls rather than flies never did think we would be flying aircraft some hundreds of years after his demise, thanks to his work on gravity; and so it goes; I do think often our worst impediment is our knowledgeable cynicism about things, and of a solipsistic variety; ergo, when we are in need of some change ourselves, we move heaven and earth; but when the argument is made that greater changes are needed that may affect larger masses of people, we say ‘oh, but nothing ever changes;’ kya fayda hai kutch karnei se (what’s the point of doing anything) etc. Prof. Raina has forwarded a copy of your mail to me. I am grateful for your Prayers and good wishes. The cause at hand is much much larger than all of us put together and needs all the Prayers in the world! As you might be aware, immediately after the Supreme Court order on 12 September 2011, our home grown tyrant-Modi and his cohorts started a misinformation campaign and tried to portray that the Supreme Court verdict was a virtual “clean chit” and vindication of his innocence in the Gujarat Pogrom of 2002. A dear friend, Mahesh Bhatt conveyed to me that the crusaders for justice had also fallen victim to the misinformation campaign of Modi and were somehow disappointed by the Supreme Court verdict. He added that there was a sense of utter despair in the Muslim community across the country. Adding insult to the injury, Modi carried this subterfuge forward and wrote an open letter addressed to the people of Gujarat in particular and the people of the country in general, announcing his decision to embark upon a Sadbhavana Mission. The letter was printed in full page government sponsored advertisements in all the newspapers across the country. When I read the open letter written by Modi, I felt a very strong urge to acknowledge and reply to the subterfuge. I was reminded of Winston Churchill’s famous line – “A lie gets halfway around the world before the truth has a chance to get its pants on”. And here was the announcement of a craftily conceived Sadbhavana Mission, which to my mind, could have been a politically expedient exercise, but could never be a substitute for real justice and equity. I have always believed that the the Newtonian dynamics of Action and Reaction as propounded by Modi can never be the bedrock of any Sadbhavana Mission. I was carrying these disturbing thoughts in my mind when I went for my evening run on 14 September 2011. 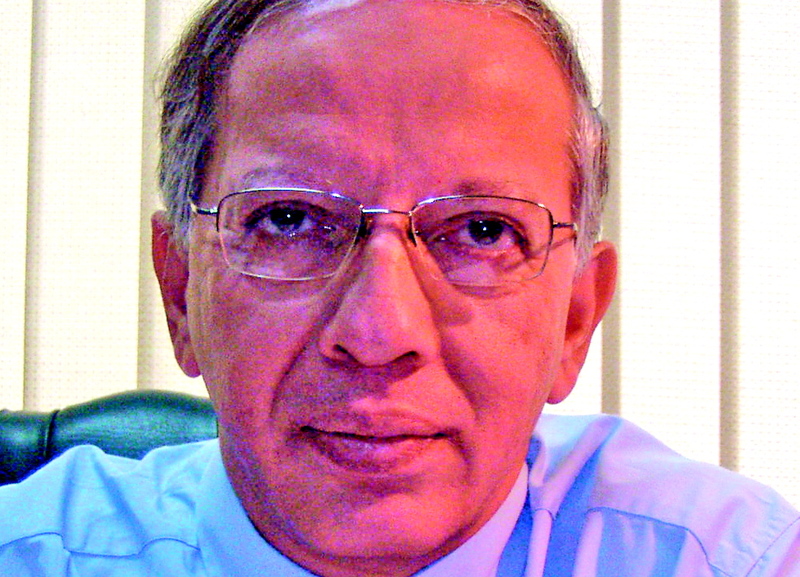 The word “Despair” as uttered by Maheshbhai was haunting me no end. The letter started taking shape in my head. On returning home I immediately tried to put my feelings on paper and got the letter out of my system. I am attaching a copy of my letter to Modi. Would love your feedback. I received your message at 2.30 am and am writing well after 3 am, when many would be getting ready to wake up. Delighted to hear from you and I do sincerely appreciate the time you took to write to me, when you must be having a lot on your plate. Read your attached letter which knocked off whatever sleep which was creeping in. I do thank Beena Sarwar and Prof Raina for our contact. I was in Atlanta on the weekend of September 9-11 for a CNN interview, also visited the Martin Luther King home/museum/grave etc and actually dared to fly back on Sunday 9/11 just to prove a point that a few members of the violent minority cannot just hijack the lives of the silent majority. As you have referred to MLK in your letter to Mr Modi, please allow me to share MLK’s quote posted at the front lobby of the MLK Musuem, just in case you were not aware of its presence there….. Indeed, you have taken the bull by the horns and there is no turning back. Your life will be different from what it was in the last 24 years and there should be no regrets lurking anywhere lurking in your system. Please bear in mind that there will be millions praying for your success, not just me. Most importantly, there is Somebody up there watching you and protecting you. I hope your September 27th court session went well. Thanks once again for taking time to write to me, something that I truly appreciate. Please do let me know, if I can help in any way. Take good care of yourself. You are a true Indian hero, who will inspire thousands, if not millions. I am copying my latest post on facebook for your perusal. Many people have questioned my silence from 2002 to 2009. All I have to say to them is that I was privy to the information pertaining to the Gujarat Carnage of 2002 as an officer of the Intelligence Bureau and hence could not have officially divulged the information otherwise than under a binding legal obligation. Despite having been cited as a witness in the complaint of Mrs. Zakia Jafri in 2006, it was only in 2009 that I was called upon to depose by the Supreme Court appointed SIT. I came out with all the relevant and germane facts at the very first opportunity. It has been a very patient wait for me and not an easy one at that. The patience of the law enforcer has always got to be greater than that of the law breaker. The patience of the hunter is always greater than that of the prey. It is not the kind of patience as in waiting passively. It is the kind of patience that requires you to hold on and keep going at your objective in spite of all the odds being loaded against you. It is the kind of patience that requires you to hold on to the truth and everything connected with it, even when the simple act of bringing out the truth is seen as nothing short of hara-kiri. This kind of patience is not easy but it is definitely very rewarding and satisfying. And ultimately our only obligation in any lifetime is to be true to ourselves. Nothing else really matters! Yes, there will be questions, and perhaps more questions than answers, but you stand on firm ground. One cannot be more clearer than that and you have demonstrated both in one shot. On a more lighter note though, I am attaching something I wrote last year, Patient. Hope you like it. The Al-Asar is indeed very profound and yet amazingly simple! Will always try to keep it in mind. The piece on patience was great. Would love to know a little more about you and your vocation. 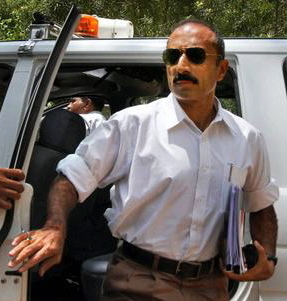 Take a bow Sanjiv Bhatt! History has witnessed the downfall of many dictators and all due to the courage of someone who stood for truth, regardless of their own interests. Your courage and integrity will not go waste.There are millions out here who are praying for you and your family’s safety! YOU ARE A TRUE BRAHMIN. BE BOLD.WE ARE A DISCIPLE OF LORD PARSURAMA. DO NOT BOTHER OF ANY ONE. LORD PARSURAMA BLESS YOU.REGARDS. May god grant you strength. The opposition against you might be very high, but every day, when you come across pain, please do not think that you are doing it for yourself, but to all of us and our little children. Justice need to prevail. People like Modi have their own, justifications for the carnage, but in the end they did it for nothing but electoral power. Above all, the One (God) who has chosen you for this noble act is behind you to take care all the time in all matters..
Let me reiterate once again that it is people like you and Harsh Mander Ji that fills ourselves with pride and sense of contentment of our being Indian. I want to assure that there are millions praying for you and your family’s safety and success. For me you are the greatest living Indian. What great people there still are in this world and how despite all the evil, all the badness, over and over and over again it is always those who patiently work towards and live the truth, are the ones who are always not only remembered through posterity, but the ones who bring back justice, the rule of law and humanity back on the trails again. This correspondence brings tears of joy, love and hope.